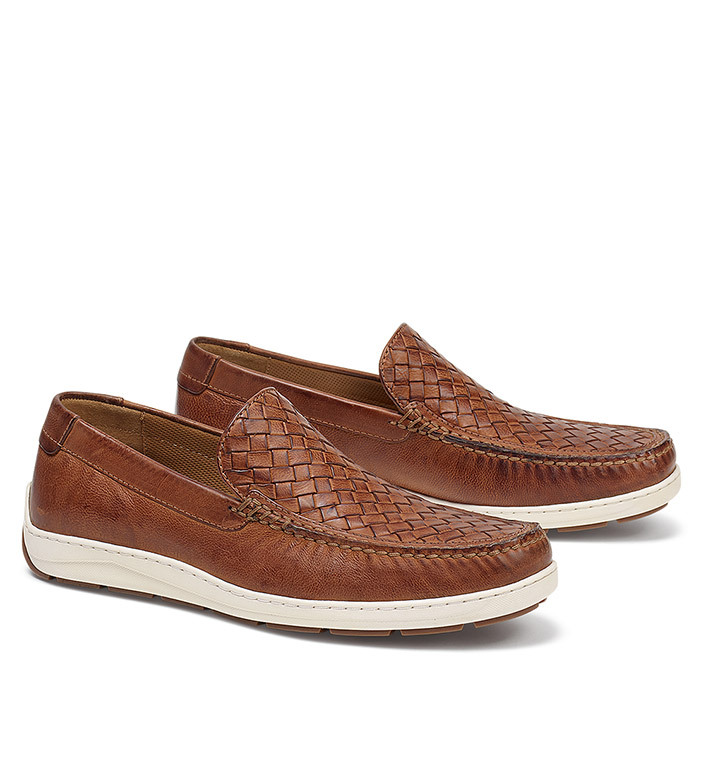 Sporty, elegant in supple, Italian calfskin, burnished to enhance the hand-woven texture. Highly cushioned for incredible comfort, hand-stitch detail, leather lining, removable molded insoles, rubber soles. Imported.